The Emily Carr House was the childhood home of Canadian painter and author Emily Carr and had a long-lasting impression on much of her work. Today, it is an Interpretive Centre for Carr’s artwork, writing, and life. Emily Carr’s work reads like an adventure. It carried her from remote native settlements throughout British Columbia to major cities like San Francisco, London, and Paris. But her childhood home continually appeared throughout all of her work, especially her writing. The house itself was built in 1863 and Carr called it home from her birth, in 1871, until she left to pursue artist training overseas. Her father’s death triggered ownership changes and, after years of passing through the Carr Family, the house was sold off. Although it was once scheduled for demolition, the house made its way back to the Emily Carr Foundation before being purchased by the provincial government and restored. 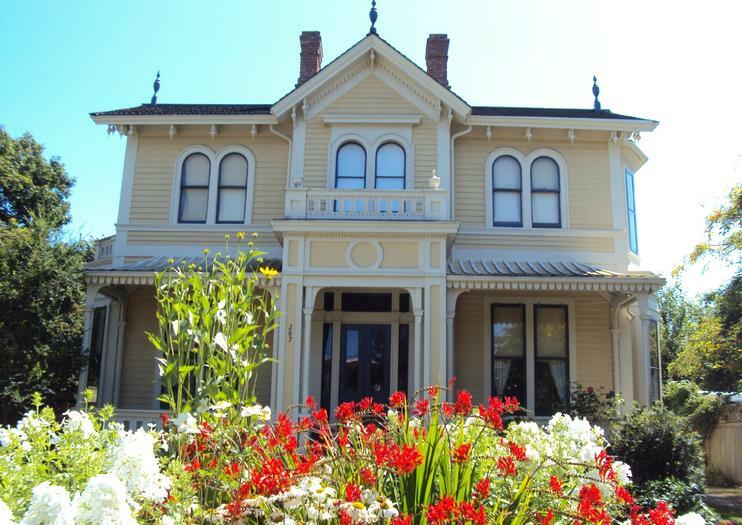 It is now considered a prime heritage example of Italianate villa style popular in that era. It’s also the second National Historic Site of Canada designed by the local architects Wright and Saunders, who also built the Fisgard Lighthouse. The Emily Carr House is located at 207 Government Street, just six blocks south of Victoria’s Inner Harbour. The interpretive center within the house is open throughout the summer and for special events throughout the remainder of the year.